The Sheriff’s Office utilizes Reserve and Part-Time Deputies to supplement the manpower of the full-time deputies. The Reserve Deputy program is no longer recognized or offered by the NLETC Nebraska Law Enforcement Training Center. Officers who have previously completed the “Reserve Program” and continue to be in good standing with the Police Standards Advisory Council can continue to be utilized. The Part-Time Deputy program is open to Officers who have graduated from the NLETC Basic Training and continue to be in good standing with their certification. 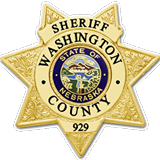 Individuals interested in more information or wishing submit an application for part-time certified deputies status can contact Program Coordinator, Captain Shawn Thallas at 402-426-6976 or at capt.thallas@washcosheriff.org.